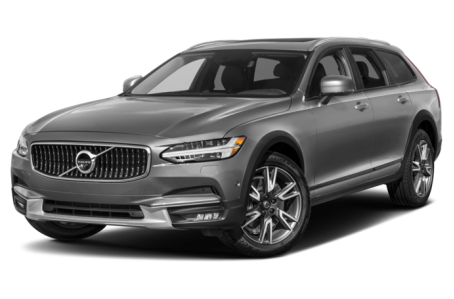 The 2018 Volvo V90 Cross Country is the more rugged version of the regular V90 wagon. It has a ground clearance of 8.3-inches and a black-clad underbody trim. Powering the V90 Cross Country is a standard 316-hp, supercharged and turbocharged 2.0-liter 4-cylinder engine mated to an 8-speed automatic transmission and all-wheel drive.